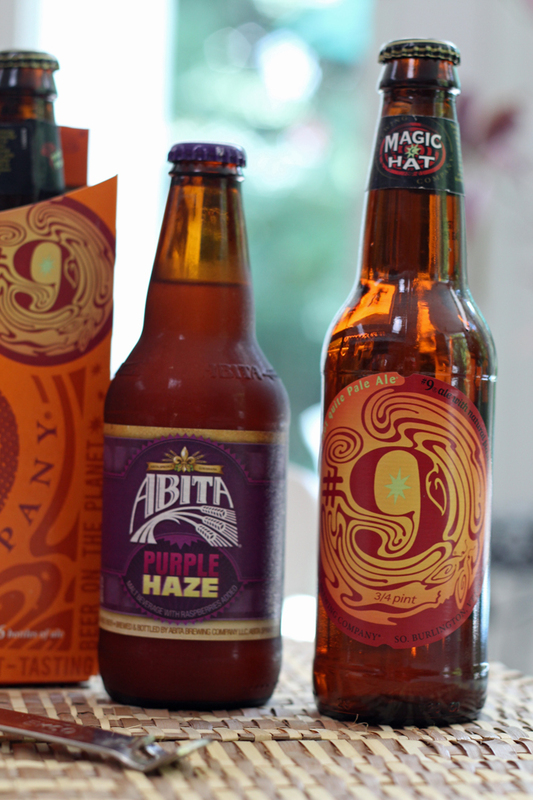 When I finished work on the last day of school I went straight to the supermarket and got myself a six pack of Abita Purple Haze. (It had been a rough day, so the beer was absolutely necessary.) As I was checking out, the chatty cashier asked if I had ever tried a "Harry Potter". I said that I hadn't and enquired as to what it was. 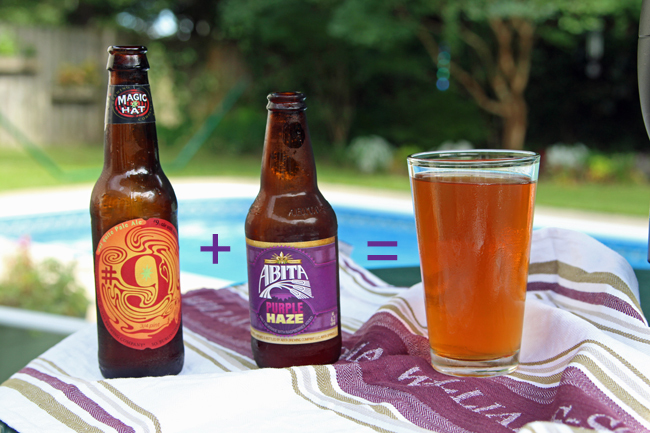 Apparently it's a beer cocktail made my mixing Abita Purple Haze with Magic Hat #9. I nodded, said I'd keep that in mind and rushed home for a New Girl marathon on Netflix and my Purple Haze. Fast forward a couple of weeks to when I was wandering around World Market. 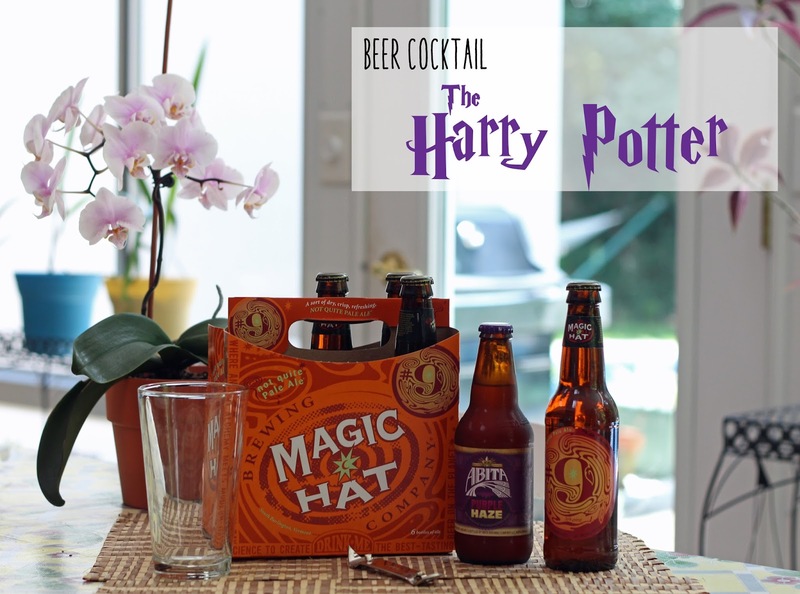 I randomly remembered the beer cocktail the guy had mentioned and decided to see if they had an individual bottle of this mysterious Magic Hat #9. They weren't sold individually, but they did have a six pack. Since I knew Bryn was coming shortly and that he would drink anything classified as beer, I splurged. Now I didn't have high expectations for this drink. I mean, beer mixed with beer can't taste like much else other than beer. But I figured why not, it is called a Harry Potter, after all, and what kind of fan would I be if I didn't at least try it?!? So mix I did. And you know what? It's pretty darn good! I knew I liked Purple Haze. Since it's made with raspberries it's slightly sweet, which I like. 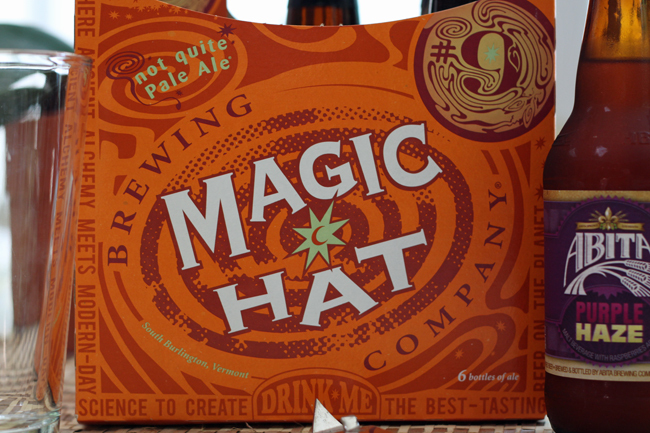 The Magic Hat #9 calls itself a "not quite pale ale", and while it's perfectly drinkable, it's a bit more hoppy (read: bitter) than I prefer in a beer. However, mix these two together and you end up with a really smooth, highly drinkable beer with a really pleasant after taste! I don't think this is going to convince me to start regularly mixing beers together to concoct new beers, but if I ever find myself with these two beers in the fridge at the same time, I'll just wave my wand and mix me up a Harry Potter!